Some of the greatest sources of smartphone specification leaks are AnTuTu and Geekbench, the two pieces of software which are used to determine a smartphone’s specifications using synthetic benchmarks. 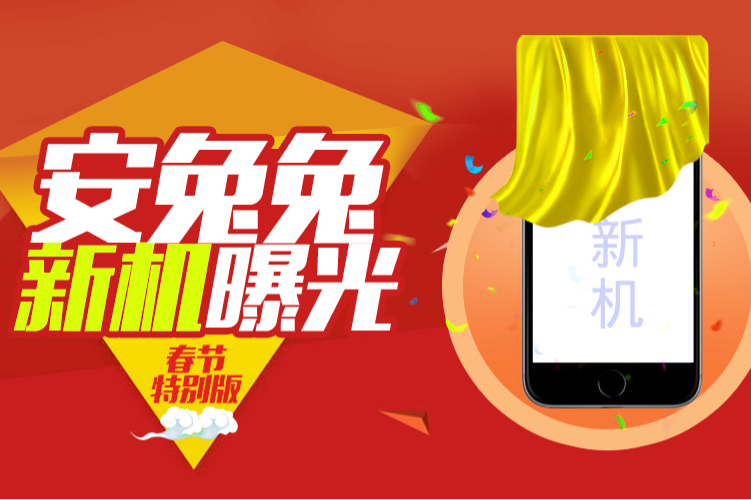 Both AnTuTu and Geekbench have become so popular in the public that none of the smartphone manufacturing companies can overlook them. 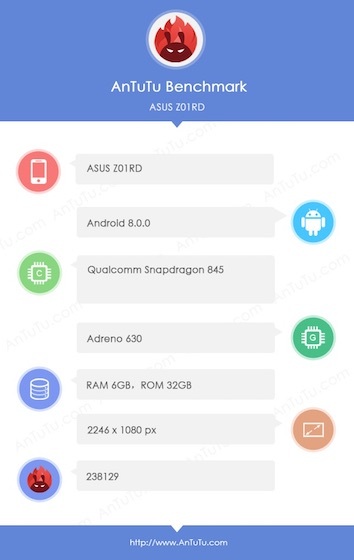 In the recent past, we have seen devices like Asus ZenFone 5 lite, Nokia 7 Plus, and Samsung Galaxy S9 leaking on Geekbench and just now a new smartphone from Asus called the Z01RD has been spotted on AnTuTu. According to the leaked specifications, the new Z01RD is running on Android 8.0 Oreo and is powered by Qualcomm’s latest Snapdragon 845 processor. The device is also supposed to provide great graphical performance as it is using the latest Adreno 630 GPU. The device also seems to be packing 6GB of RAM and 32 GB of ROM. When it comes to display, we don’t know much about it other than the fact that it has a 2246×1080p display. Lastly, the device scored 238129 on AnTuTu which, AnTuTu is saying is not outstanding as compared to some other newly devices which leads us to think that some other phones coming with the Snapdragon 845 will score really great on AnTuTu. That said, by its AnTuTu’s own rankings, the Asus Z01RD performs better than the iPhone X, and even the iPad Pro 12.9-inch. While many are considering the Z01RD as a new line of devices from Asus, it might also be that Asus is using Z01RD as just a code name and the actual device might be any one from the existing line up of devices Asus already has. However, at this point in time, it’s foolish to speculate on the name of the device as we don’t have enough evidence. That said, you can be sure that Asus will be launching a powerful flagship device in the coming months.